The fast and simple way to find your perfect mortgage. Enter your details & see best rate mortgage. Have one of our professional advisers confirm the best mortgage for you. Let us complete & submit your application. You’ll receive case updates at least once each week. At Mortgages Online, we compare more than 12,000 mortgages, and we have access to almost every lender on the market. Once you have entered your details on our mortgage calculator, your information is passed onto one of our fully qualified mortgage advisers, who will review your personal details and provide you with advice on the mortgage that is best suited your requirements and circumstances. And then, once you have selected your preferred mortgage deal, we will submit the application and manage the entire process on your behalf. 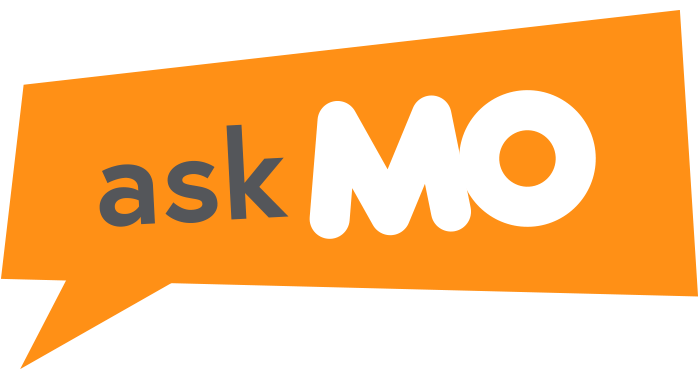 Why not get started today to see why online mortgage brokers like MO are the future. Online mortgage brokers are the future of finding the best mortgage deals on the market. But, don't just take our word for it! Why not read our Trustpilot reviews to see what our previous customers have said about Mortgages Online. Whether you’re a first-time buyer, remortgaging, or merely taking back control of your finances, finding a mortgage is a big financial decision. And, we understand that finding the right mortgage can be an overwhelming task. That's why, at MO, we make mortgages simpler. As a specialist online mortgage broker, we are able to offer our customers a quality service from mortgage application to completion. That's why, once you have made the decision to choose us as your online mortgage broker, your details are forwarded to our fully qualified mortgage advisors who will then review your details and provide free, impartial advice on what mortgage deal is best suited to your requirements. And, unlike a traditional broker or comparison site, we leave out all the jargon to help you choose from the very best deals available. Not only that, but once the perfect deal is chosen, we will submit the application on your behalf. Once the mortgage application is submitted, your case will then be passed on to our team of award-winning administrators who will oversee the mortgage process and chase your application at least once each week. Whilst at the same time ensuring that you are updated at every stage. The cost of all this support? Not a single penny. Our service is free of charge*. If you are unsure about the different types of mortgages or would like us to help you with your mortgage application, then why not get started with our online mortgage calculator today to see why online mortgage brokers like MO are the future of finding the best mortgage deals available. At Mortgages Online we have access to almost every lender on the market. We are always expanding our list to help find the best possible deal for you. If going direct comes out as your best option, then that is what we will advise. We know how important it is to remove the stress from the mortgage application process, which is why we heavily focus on customer experience. Do Mortgages.Online charge a fee? No is the simple answer. By completing the on-line factfind you are saving our advisers valuable time, which means we can waive any broker fee. This increased efficiency means that the fee we receive from your chosen lender is sufficient to fund our operation. Please note: If we refer your case across to any associated company then a fee may be payable to them but this only applies to “complex cases” or Limited Company Buy to Let applications. Standard mortgages handled by Mortgages.Online are completely free to you, our customer. 1)	You complete your details & our “real time” sourcing system will show you the best rate available for the details entered. 2)	The fully completed factfind are forwarded to one of our professional Mortgage Advisers who review your information & supporting documentation before making their recommendation of the best mortgage to suit your needs. 3)	Once you are happy with the selection, we’ll make the application for you & chase right through to completion. Remember, we don’t receive payment from the lender until your mortgage completes so, it’s in our interest to ensure your application is successful. A Standard Variable Rate is a type of variable rate mortgage, which means that the total amount that you repay each month can change. On a repayment mortgage, a slice of your monthly payment goes towards the interest that is charged by your lender. The other part goes towards repaying the money that you have borrowed. If your lender raises its Standard Variable Rate and this is the type of mortgage you are on, your monthly repayments will increase as well. But, the additional amount that you pay will go towards the higher interest rather than the capital, so although your payments have gone up, you will not be paying off your mortgage quicker. If you’re on your lender’s Standard Variable Rate, you need to be happy with the risk of your mortgage payments going up if the rate changes and aware that theres a high chance you could get a better deal elsewhere. I am a First Time Buyer. How do I get a mortgage? Taking your very first steps onto the property ladder can be an exciting time, but with so much to think about, it can often become more of a daunting process. As a First Time Buyer, it is good practice to ensure that you go by the following criteria to give yourself the best chances of securing that mortgage. How long does it take to get a mortgage/re-mortgage? Applying for a mortgage involves providing some necessary information about your personal finances and the mortgage lender conducting a credit check and survey of the property. In terms of acquiring a mortgage offer, there’s no rule over the amount of time that it takes, but you can expect to wait anything from 1 week to a month from application to mortgage offer. However, this will depend on whether the process goes smoothly, hwo complicated your situation and the lender&#39;s own turn around times. As an online mortgage broker, we have removed the mundane components of the mortgage application process. This allows our professional mortgage advisors to concentrate on the most important parts of the process, the advice.